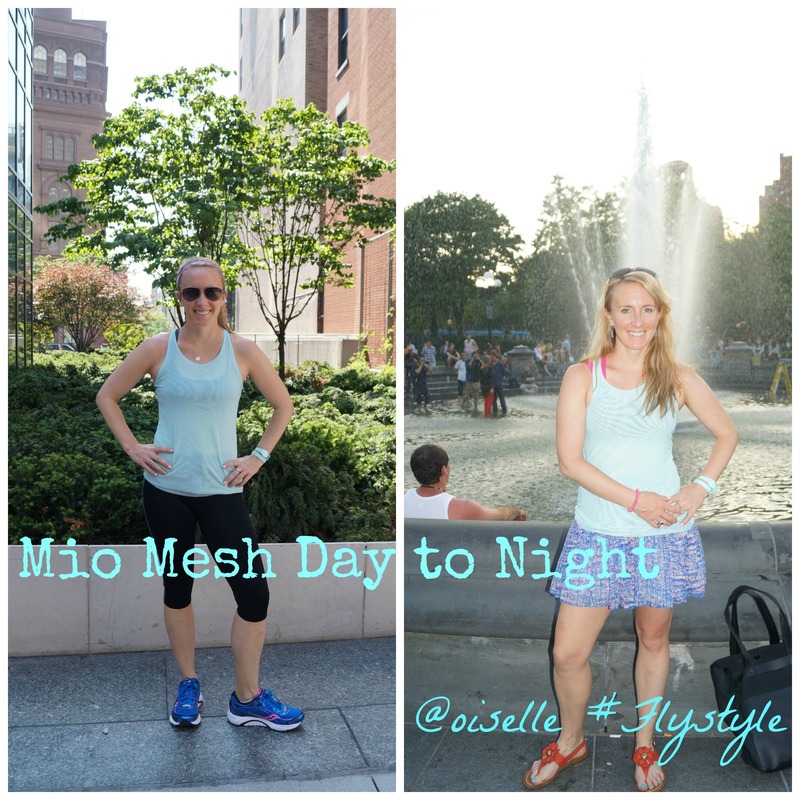 I wore the Oiselle Mio Mesh tank in sky both to spin this morning and to dinner tonight. Don’t worry, today was a laundry day! TELL ME: ANYTHING FROM YOUR RUNNING WARDROBE YOU WEAR TO WORK? TO DINNER? TO, WELL, NOT WORK OUT? « #WeRunNYC Update and FAQs! You are so beautiful AND I love your style. My running clothes definitely cannot be paired up for a “night out” outfit. Done and done. Your photos did the trick….just had to have it for myself. Nothing like dropping a little $$ on a Friday morning before the kids wake up. Sharing some blogger love today. Thanks for the inspiration.